SPECIAL DELIVERY: Answers! Here's some HellMath for you - your emails + our responses = this episode! This is Welcome to the Mailbag: Vol. 5! Brittany Ashley joins us to discuss the *FISHY* business going on with the Sunnydale Swim Team! Also LOOK AT THAT FREAKING TURTLENECK ON GAGE! This week we're discussing s2e20: Go Fish. Ding dong! Who's there? Why it's the Buffering the Vampire Slayer postal worker with SO MANY EMAILS FROM YOU GUYS! We've got answers! PLUS a live performance of some listener-created lyrics for "Staking Time!" GROSS gross gross gross this episode is FULL OF EGG BUGS grooooooss but *also* there is a LOT of making out, so... win some lose some? This week we're discussing s2e12: Bad Eggs. Today marks the 20th Anniversary of Buffy the Vampire Slayer, and we are SO excited about it that we made you a bonus mini-episode! We talk about how we came to the show, and why it means so much to us. In this special bonus episode, we speak with Armin Shimerman, who plays Principal Snyder. WHAT A DELIGHT! In Sunnydale, even driver's ed is spooky and unsafe! This week we're discussing Buffy the Vampire Slayer s1e3: Witch. If you like the show, why not leave us a review on iTunes? Thanks! 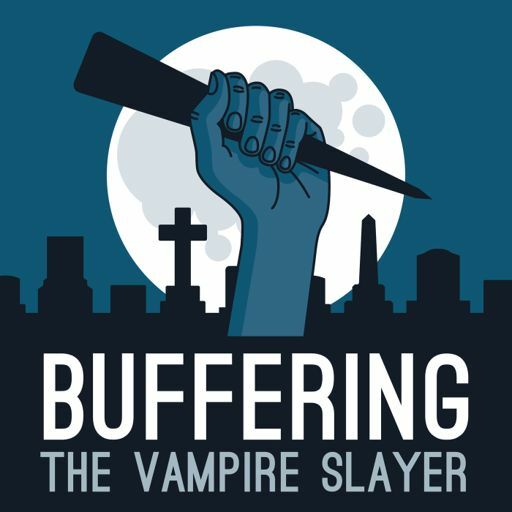 Buffering the Vampire Slayer | A Buffy the Vampire Slayer Podcast © All rights reserved.